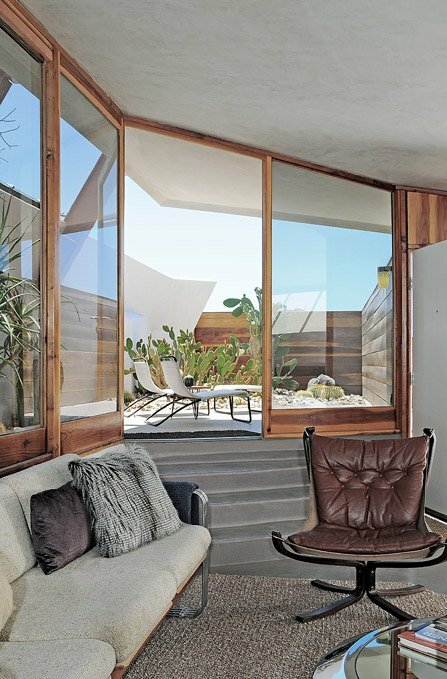 Today’s interview features two interior design and mid-century architecture professionals. 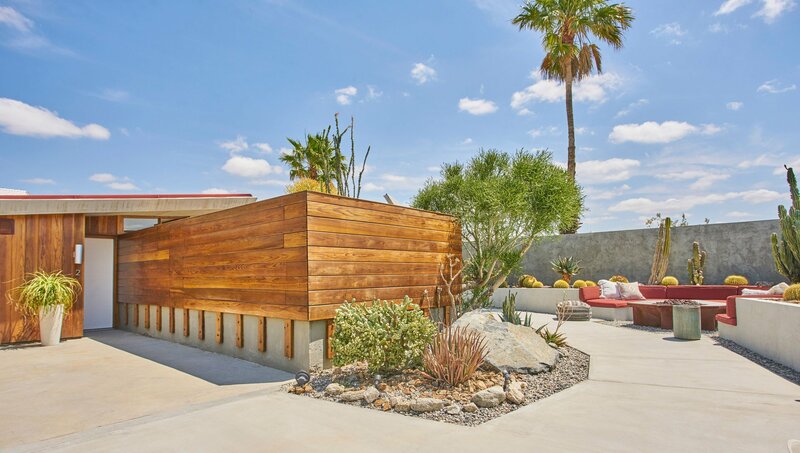 Tracy and Ryan co-own what we can easily call a desert gem, near Palm Springs: The Lautner. 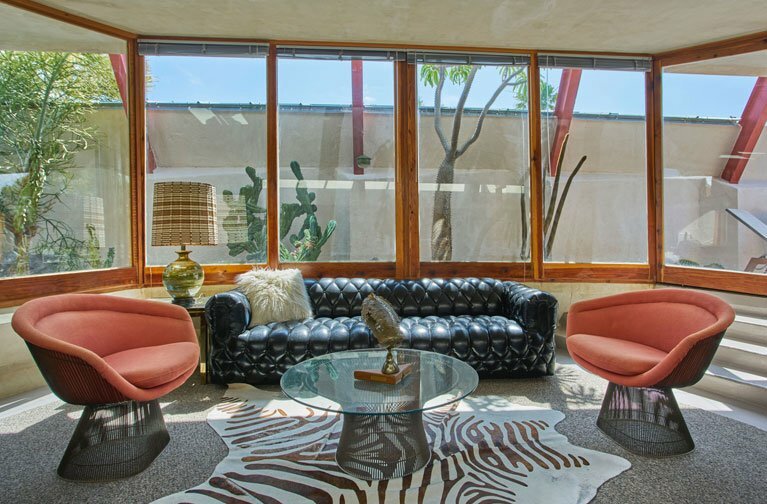 Their Instagram profile got our attention and it was just a matter of time before we asked all about their John Lautner designed property. Hi Tracy, tell us a bit about yourself and your background? My name is Tracy Beckmann and I am a native of Los Angeles. I am an Interior Designer and my firm specializes in Commercial Interior Design. 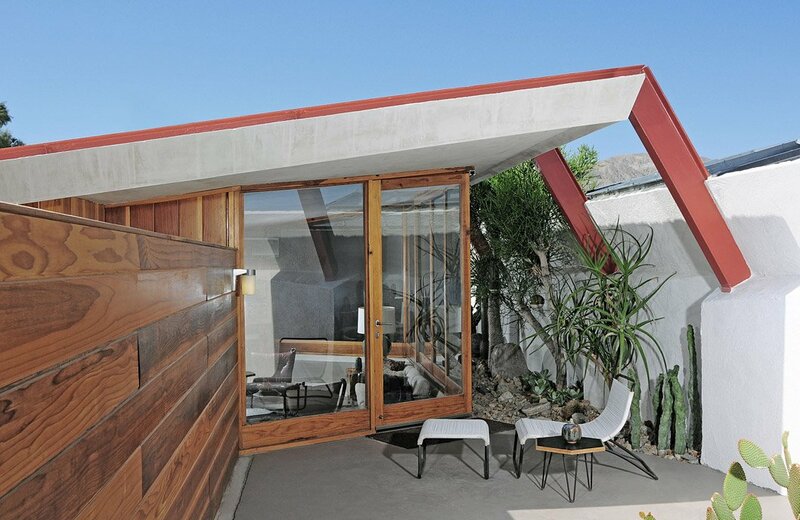 I co-own “The Lautner” with my business partner Ryan Trowbridge who is a furniture design and fabricator in Los Angeles. 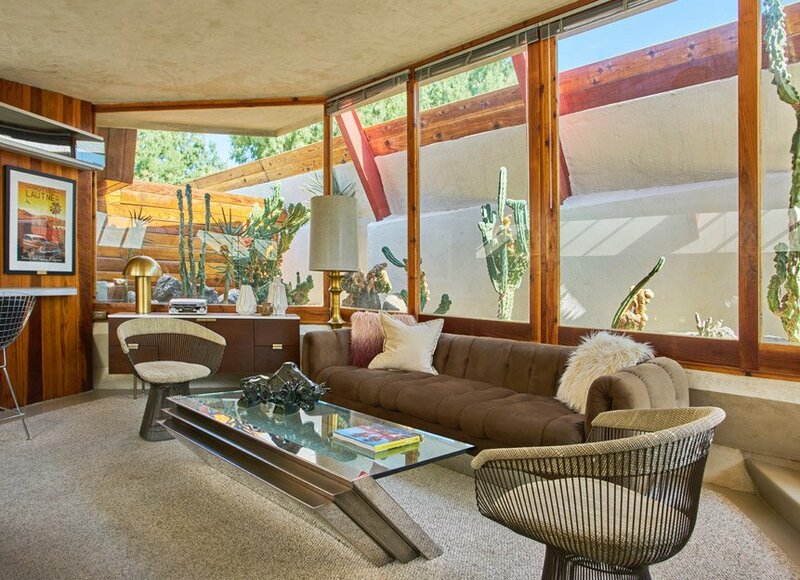 What brought you to buy The Lautner and to the mid-century style? Ryan and I were collaborating on the renovation of an apartment building on the Sunset Strip in Silver Lake, CA back in 1998. 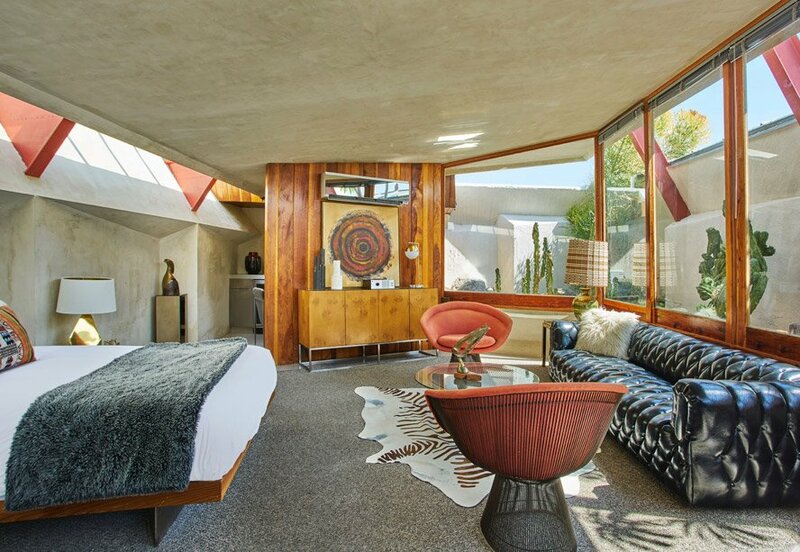 After gutting the interiors of the building we discussed paying homage to our favorite American architect, John Lautner, and began looking at photos of his residences online for inspiration. This is when we came across the Desert Hot Springs Motel for sale. The property is essentially a residential fourplex that was being operated as a roadside motel. We fell in love with the then derelict property immediately and knew we were the duo to rehab it. 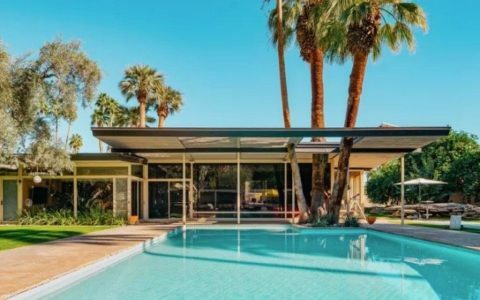 As an interior designer, I came to love the “less is more” aesthetic of mid-century modern design. I am also a “brutalist” at heart so being surrounded by concrete here at The Lautner is a dream come true. Ryan was born and raised in Michigan which has a huge connection to the mid-century modern architecture movement. His parents still own an amazing home from the 50’s in Kalamazoo overlooking a lake. This is where Ryan grew up and probable when his love affair with all things modern began. What do you think was special about the mid-century period and design? It was a dramatic shift in thinking and really a break from tradition. Ornamentation and superfluous features were stripped down to the essential elements in order to focus on the the overall structure and materials. There was an importance placed on integrating the structure into the surrounding environment, creating harmonious transitions between interior and exterior space. Through recent building innovations such as poured/sprayed concrete, developments in steel and aluminum, architects were able to dream up buildings that couldn’t have been built years earlier. 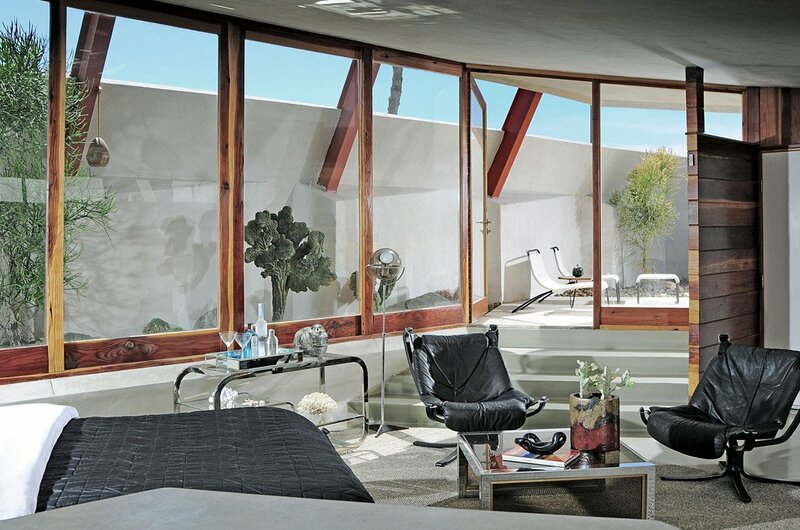 John Lautner also worked with Frank Lloyd Wright, do you see any influence of the master of modernism in your Lautner? John Lautner, in our humble opinion, is the most accomplished protege of Frank Lloyd Wright. 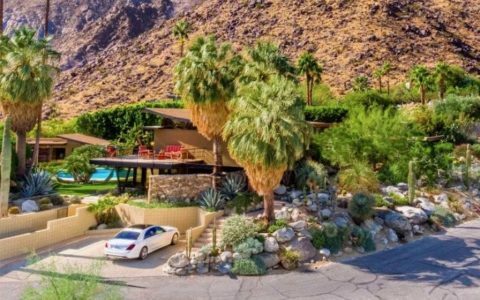 He followed Wright from Taliesin East to Taliesin West in Scottsdale, Arizona. After making the pilgrimage to the famous school of architecture ourselves, my partner and I discovered the uncanny resemblance that our residence shared with the school. The same shape of the wood beams to support the ceiling built by Wright were almost identical to the steel beams used by Lautner. And by no coincidence are the same orange color. 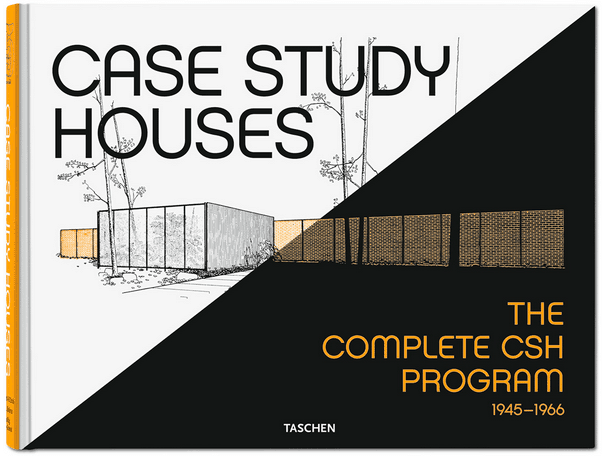 Do you feel a responsibility for owning a property designed by such a famous architect? We are in essence stewards of this architecturally significant property and ambassadors of the architecture of John Lautner. Every effort is made to educate visitors of the importance of preserving architecture and we often lecture to the public about our renovation and support of The John Lautner Foundation. Have you had to renovate any part, if so, what area? The entire fourplex underwent an extensive renovation. There are four main building materials- concrete, redwood, steel and glass, all of which needed some sort of repair or replacement. All of the concrete was covered in stucco. We left the exterior walls covered but could not abide the interior stucco covered walls. We removed stucco from the interior walls and hand troweled a layer of fresh concrete with a smooth finish. The existing redwood suffered from severe termite and dry rot, that it had to be replaced. After ordering new redwood, we had to let the entire amount needed to renovate all four units sit for over a year in one unit just to acclimate. Many but not all of the existing glass panels needed to be repaired or replaced. Luckily the Kaiser steel beams were perfectly intact and just needed a fresh coat of paint. The restrooms and kitchens were removed and updated with high end amenities. 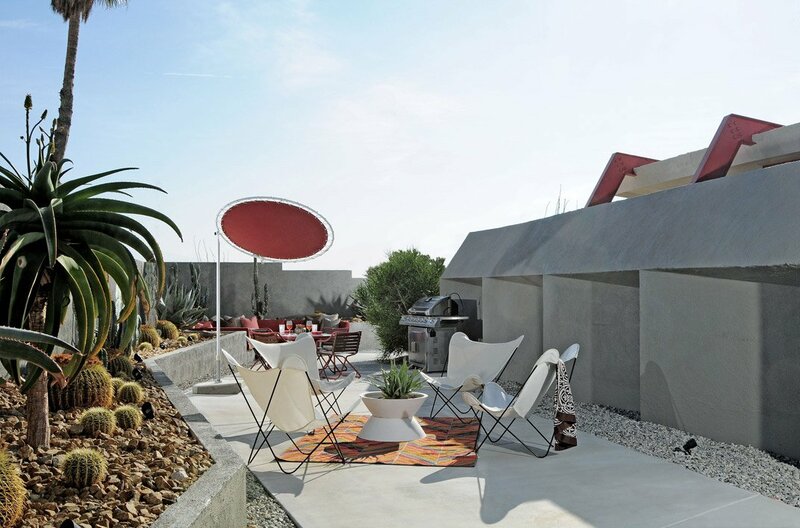 The greatest thing about living in a Lautner is being able to share it with others. When we are not occupying the luxury fourplex, we open our doors as a hybrid between boutique hotel and upscale vacation rental property. This gives people from around the world the opportunity to “live the Lautner lifestyle”. The Lautner needs constant love and attention. 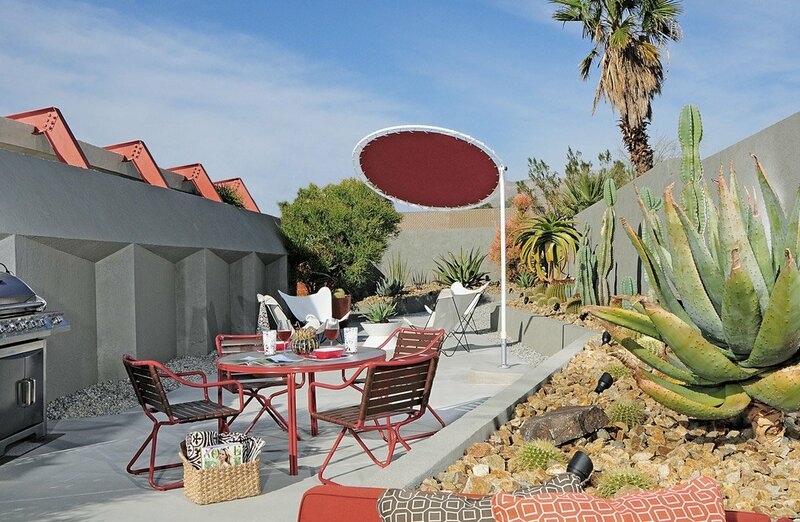 There is routine maintenance in order to keep this property in top shape. 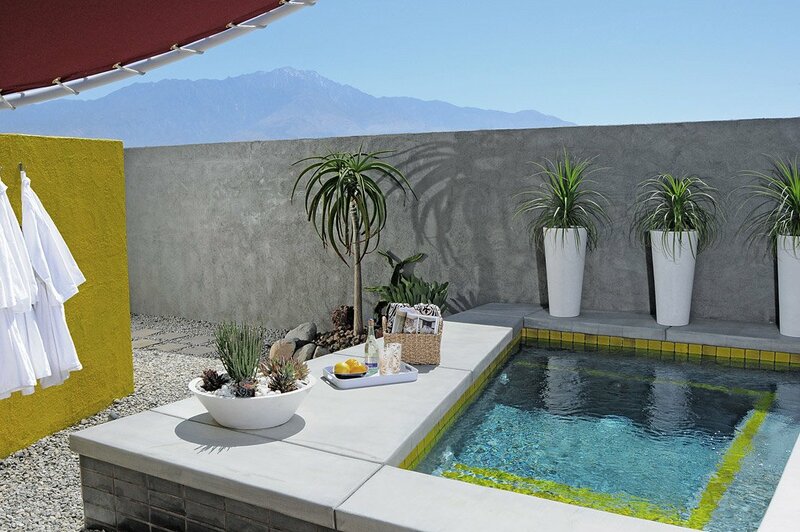 Ryan and I wanted to create a chic and luxurious desert retreat. We wanted to immerse our guests in the incredible architecture of John Lautner and the finest of vintage mid-century modern furnishings. Our design aesthetic is very eclectic. I am a Interior Designer and he is a furniture designer/fabricator and we both practice in Los Angeles and abroad. We didn’t want to create a time capsule of the late 40’s and early 50’s. Instead we drew our inspiration from many different design eras and genres. We wanted to celebrate our love for architecture, interior design, art and travel. The design of our four unit luxury retreat is very residential in feeling. It’s like you are actually staying in our home and enjoying things that we have collected over time throughout our travels and design careers. 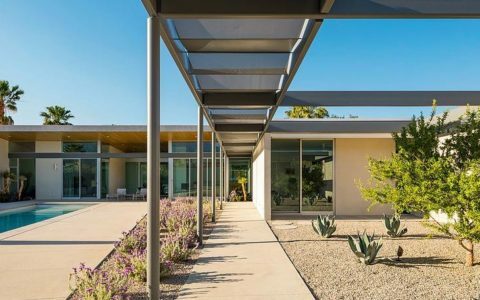 I would strongly encourage those interested in buying and renovating a mid-century modern house to have some knowledge and first hand experience of the renovation process before taking on such a huge endeavor. Or at least have a healthy bank account to make things go a lot easier! 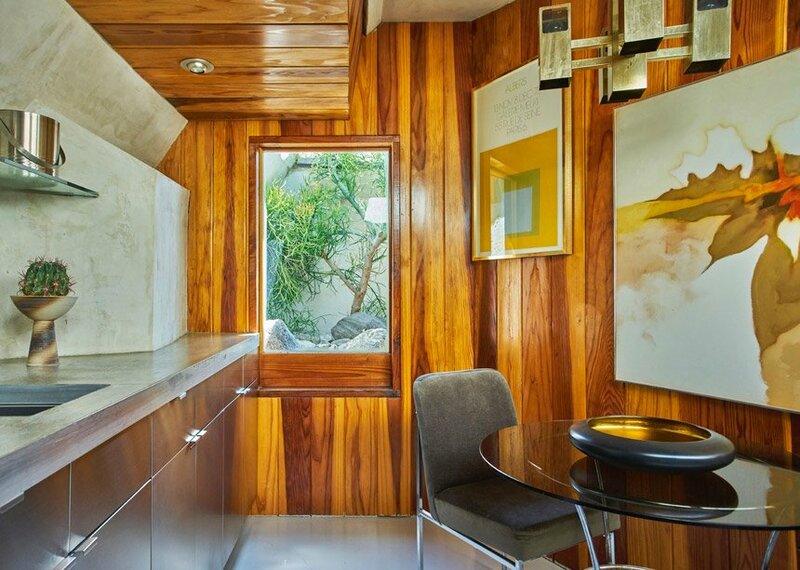 Dont’t forget to follow The Lautner on Instagram and, of course, Mid-Century Home.